The need for life insurance changes over the course of a lifetime, and our experience in dealing with multi-generational finances helps the facilitators at JMS Estate Planning determine the best protection at any age for you and your family. A young, growing family may need life insurance to protect income to raise their children, or to create college funds that would not exist if the parent(s) should die during their children's dependency years. A middle-aged couple can use the tax advantages of cash value in life insurance to supplement pension income. Life insurance proceeds can pay off a mortgage or other debts left behind due to death; as well as provide for funeral costs and medical expenses using final expense insurance. Seniors can take advantage of life insurance to help a surviving spouse replace income that would be lost due to death, such as the deceased spouse’s social security, pension and annuity income. Life insurance can also be used to pay off income taxes on IRAs left to beneficiaries, and to pay off estate taxes when your estate is passed to your loved ones. There are many reasons why life insurance should be managed and reviewed periodically. 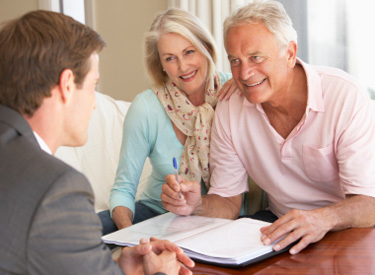 The professionals at JMS Estate Planning Services can help you determine the right kind of insurance to purchase and design the amount, premium and cash values according to your specific needs and desires. Please contact a local Palm Coast estate planning facilitator by calling us at (386)-446-0317 or by using our web contact form.